Manufacturer of a wide range of products which include motorized three way bypass damper. 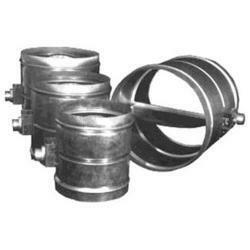 Being quality oriented organization, we offer Motorised Three Way Bypass Damper to our prestigious consumers. Product-array, available by us has longer service life as it is develop by making use of premium quality material and advanced techniques. Furthermore, it is processed with the support of experienced professionals. We have an experienced team of engineers, who are well-versed with the industrial standards that are used for the precise finishing of these products. Looking for Motorised Three Way Bypass Damper ?